As the site of the Kentucky Derby, Louisville has long been associated with speed, and this reputation extends far beyond the racetrack. The Commonwealth’s largest city also stands out for producing fast cars, having established itself as one of the largest automakers in the United States. Even as Louisville produces rapid automobiles for the rest of the country, the town itself needs quick transportation, especially when bringing in essential supplies for its many businesses. Expedited Freight offers this quick transportation to every variety of local business, returning the benefits of automotive advancement to the Louisville area. 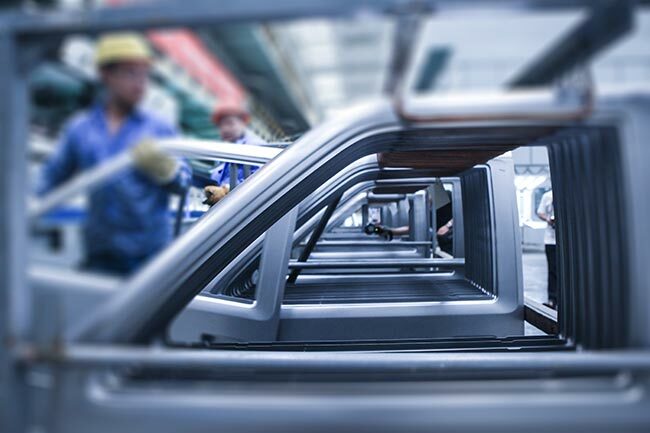 Louisville’s achievements in automotive production create both opportunities and challenges for the town. On the one hand, the local Ford Assembly Plant and other production centers offer a myriad of jobs that pay well and provide a boost to the economy. On the other, these plants tie up local logistical systems. Carriers struggle to keep up with their extensive supply needs, which often include items that cannot be even remotely damaged as they make their way to the production line. Combined with the fact that many of these items must be delivered on difficult deadlines, this makes it seemingly impossible for carriers to offer effective express trucking in Louisville. ExpeditedFreight.com has a long history of showing that what seems impossible is often quite doable. An expedited freight company with experience in the Louisville area, we have developed a strategy that allows us to supply the Ford Assembly Plant and all other businesses on any schedule they set. Shipping Safely - Our highest priority when delivering into and out of the Louisville area is safety. For this reason, we have instituted a team driving policy, meaning that except on the shortest deliveries, all our vehicles must have two drivers. The drivers will switch between sleeping and working, ensuring that both are rested enough to drive safely. Combined with our use of advanced storage equipment, this prevents any harm from coming to your goods while they are en route. Planning with Prudence - When we get ready to deliver your goods, our team charts a path from the starting point to the destination. We make sure the route is as short as possible and that it doesn’t involve driving in areas with a high risk of traffic, harsh weather, or breakdowns. This minimizes the amount of time it takes to get to your destination, all while further improving safety. Tracking & Reporting - While the vehicle carrying your goods is on the road, we track it and look ahead for signs of delay. Whenever we see one, we contact the driver and instruct them to take a different route, thereby minimizing delays. Our tracking has the added benefit of letting us tell you where your order is at any moment. You need only call our 24/7 customer service center and we’ll give you this information immediately. Since 1955, Louisville Assembly Plant has been one of Louisville’s largest and most important landmarks, occupying more than 3 million square feet at 2000 Fern Valley Road. A Ford plant, the facility produces the Escape and the Lincoln MKC vehicle. It directly employees more than 4,500 people, and is close to the Louisville International Airport. Louisville Assembly Plant’s proximity to the airport is both a blessing and a curse. On the one hand, when the facility needs to ship in supplies by air, it has no trouble getting those supplies from the runway to its loading docks. On the other, the airport complicates ground supply efforts. Because there are so many cars and trucks heading to and from it, the local roads are frequently congested. This makes it harder for Ford’s suppliers to reach the Louisville Assembly Plant. While carriers can get around this by planning regular deliveries when traffic is light, this doesn’t work for emergency deliveries that must be completed right away. ExpeditedFreight.com specializes in just such emergency deliveries. 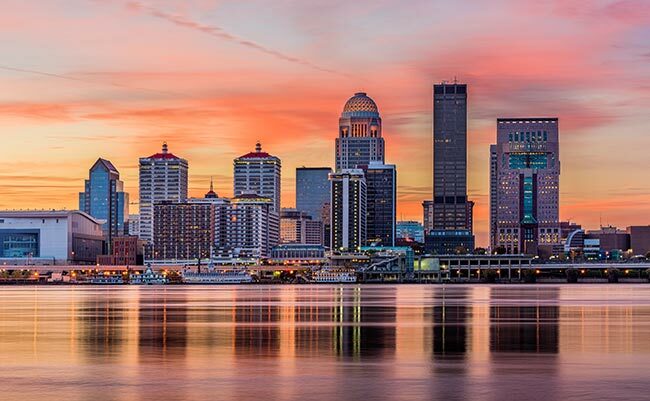 A downline expedited freight company, we quickly plan routes into and out of the Louisville metropolitan area, allowing us to bring in supplies on short notice. We also track our vehicles on the road, watching for signs of delays and responding quickly if they arise. Our goal is to maintain a steady flow of supplies heading into and out of Louisville, so that the Assembly Plant never struggles to complete its orders. ExpeditedFreight.com ships into and out of Louisville proper along with Elizabethtown, Frankfort, Bowling Green, and Lexington. For more information, visit our website today or give us a call at (800) 713-1000.